Almost every car buying website offers a free online cash offer in less than a minute. We don't. We do it better. 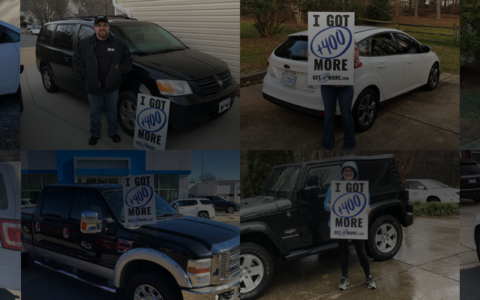 We've purchased over 2,500 cars in Raleigh for $400 more than competing offers. Selling your car in the Triangle? 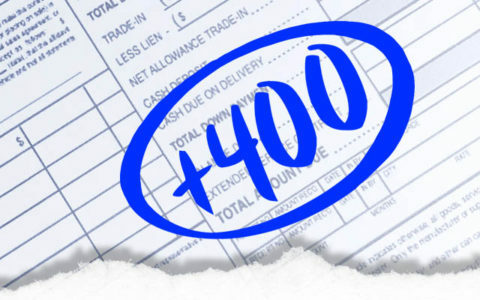 We'll beat your best cash offer by $400, backed by our More Money Guarantee. We’ll come to you! We’ll meet you in your driveway, at the dealership, or on your lunch break. You set the terms. Get a written cash offer for your car. If you don't have a cash offer, we can help. We quickly schedule a time to meet you and your car, and deliver your cash offer. You can use our offer as leverage to negotiate more out of your original cash offer - or you can sell it to us for $400 more. You can get $400 more. Get400More customers are guaranteed to net more money, no matter what. If we're interested in your car, we guarantee an offer of at least $400 more than your best written cash offer. If we're not interested in your car, we'll write you a $100 check, cashable that same day. Call us for the best deal on your used car. Guaranteed.